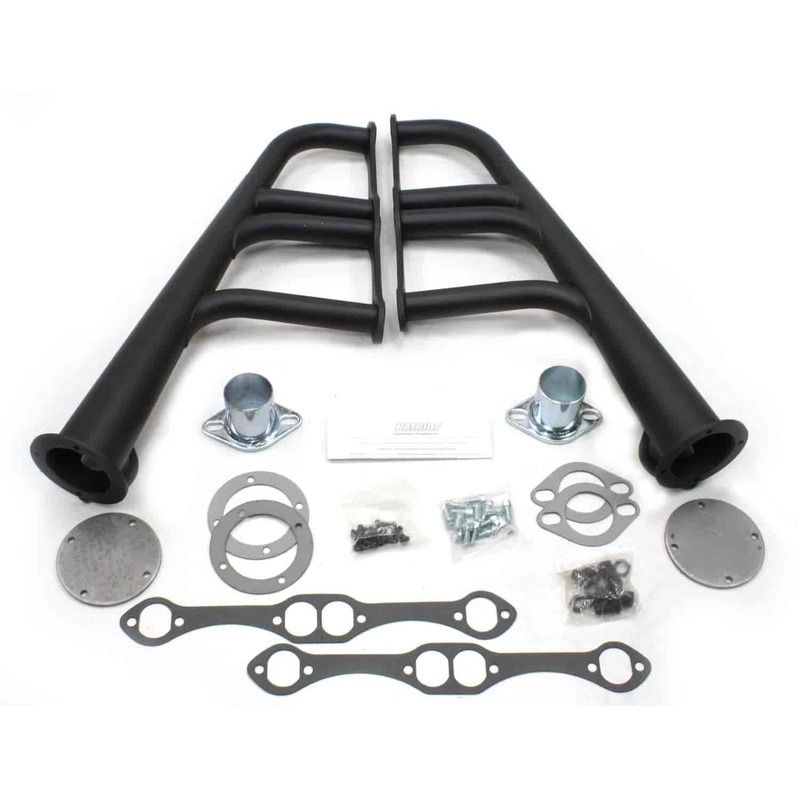 Enhance your hot rod's nostalgic look with these Lakester steel headers in black, metallic ceramic, or chrome. They fit T-Buckets, Model A's, 1932-34 High Boys, and most other fenderless street rods. Lakester headers connect to under-chassis exhaust systems but, by removing the included block-off plates, headers "uncork" easily.